And so Chopin, a different Liszt (originally the mighty Sonata in B Minor) and Ravel were pressed into service for what turned out to be a masterfully shaped concoction no matter what circumstance led to the final selections. 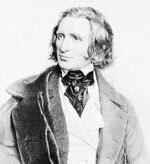 In this year-long Chopin celebration, it couldn’t have been more appropriate to prepare a Polish-French baguette with a filling of infrequently heard Liszt (who will get his fête in 2011) to intriguingly make up the first half. The pair of Nocturnes from Opus 9 were (No. 1) thoughtfully lyrical once the production of vrai legato found its groove and (No. 2) a deeply personal statement that very nearly quashed the bronchial interjections which are the bane of excellent acoustics and continue to disrupt stellar art. In stark contrast, the B Minor Ballade (curiously the same tonality as Grimaud’s choice) occasionally threatened to fly away from Thibaudet’s grasp but, happily never really did. The Steinway was pushed to its sonic limits (and will need an extensive tuning), especially in the grumbling torrent of left-hand rage that erupted massively and soared to the fourth balcony with terrible power. 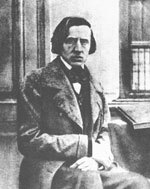 The second helping of Chopin was a marvellous mix of small gems (but large craft)—the pair of Op. 25 Études (such a different approach from Alexander Tselyakov’s mere weeks ago: cross-reference below)—and the two Valse brilliantes. Op. 34, rendered with compelling understatement and constant flow, proved to be the best of the bunch while its better-known younger cousin (Op. 18) nearly had the large crowd bursting into song in delighted recognition. 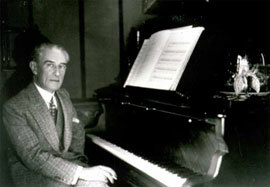 After the interval it was all Ravel. Astonishingly, the Pavane took a few measures to sit down, but from that point forward, the music delectably evolved in all its pathos and poignant detail. In retrospect, like a carefully timed appetizer, the post-intermission opener set the table for the ensuing main course. Miroirs and Thibaudet seemed joined at the artistic hip. All that had preceded merely aligning the taste buds for this feast of tone, texture and touch. Highlights included the saddest birds in the world (“Oiseaux tristes”) and a sea voyage that rode on wave after wave of sublime artistry (“Une Barque sur l’Ocean”). Coincidental or not (I’d favour the deliberate plan) the heady repeated notes of “Alborada del gracioso” resonated wonderfully with those of the first-half closer. If the music had stopped there, no one would have left disappointed. Happily, Thibaudet was in an encore mood. Of the three given, who would have expected Brahms’ most magical Intermezzo (Op. 118, No. 2) to lead the pack. But this exquisitely nuanced nightcap (with perhaps a tad more weight in the bass than some prefer) only further heightened the effect of the banquet of Impressionistic art that came before. If ever a director of programming is wanted at any festival, then Thibaudet should be considered. During the festival’s 38-day run, a wide variety of non-musical activities was sampled both in Lucerne and other parts of Switzerland. Because of the excellent local and inter-city transportation system, there’s plenty to see and do within a day’s reach and still be back in time for the next performance—Cultural Tourism at its best!